Begin your exploration of One World Observatory at the video wall in the Welcome Center, which welcomes you in ten languages and celebrates the homelands of all visitors. Hear the true stories of the people who built it in an inspiring walk-through video montage. You’ll be whisked to the top of the tallest building in the Western Hemisphere in less than 60 seconds in the Sky Pod elevator while watching a time-lapse evolution of NYC over the past 500 years. At the 100th floor, step into the observatory for panoramic views of Manhattan, Brooklyn, New Jersey, and the surrounding waters. Stand on the glass Sky Portal and look down to the city streets for a totally unique perspective! 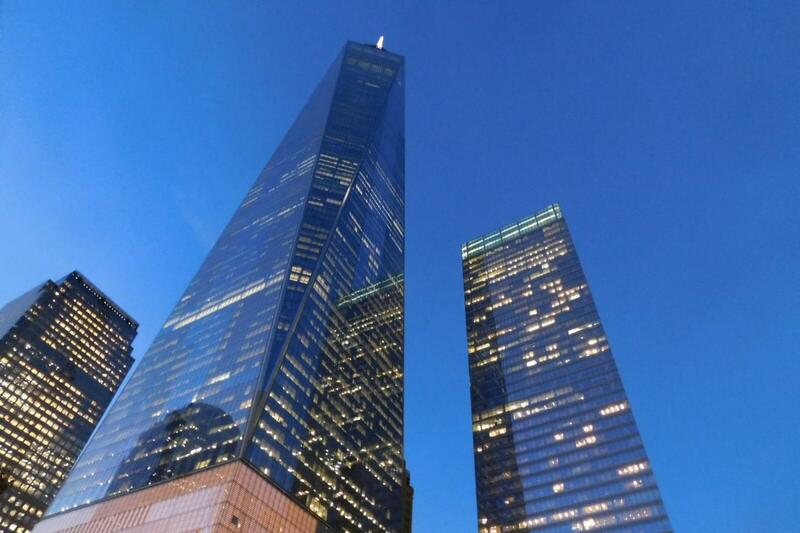 The 9/11 Memorial is located at the site of the former World Trade Center complex and features two enormous waterfalls and reflecting pools within the footprints of the original Twin Towers. The Memorial plaza is one of the most eco-friendly plazas ever constructed with more than 400 trees surrounding the pools, symbolizing a spirit of hope and renewal. Names of victims are inscribed on bronze parapets surrounding the pools. The Museum is unique for its location within the remnants of the original World Trade Center site. The We Remember exhibition, recorded in 28 languages, demonstrates the global reach of witnesses to the attack. At the museum you’ll see many thousands of artifacts in the historical, memorial, and witness exhibitions. In the Pavilion, three films which run daily feature world leaders reflecting on 9/11’s impact on global events and inspiring personal stories by some of those most directly affected by the attacks. Great visit, good price with Grayline, would recommend.